Sussex Police are looking colourful just in time for Brighton Pride tomorrow (Saturday, August 1). More than 160,000 people are expected to attend the largest event of its kind in Brighton this weekend. Now in its 25th year, organisers will mark the milestone anniversary with the parade theme ‘carnival of diversity’. 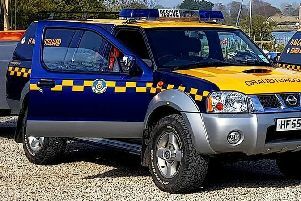 Sussex Police have tweeted pictures of their vehicles painted in rainbow colours for the big occasion. The police have been a reoccurring presence in the parade for many years to show their support for the lesbian, bisexual, gay and transgender (LGBT) community. Also, advisors from Health and Wellbeing services at West Sussex County Council will be attending this year’s event. They will provide information on what local services are available and how they can help and support people in West Sussex. Free fruit and a lucky dip will be on offer for everyone who helps out with research into LGBT life or joins the West Sussex e-panel. West Sussex County Council Louise Goldsmith will be joining staff at the annual event. Louise said: “Pride is an ideal opportunity for people to find out what WSCC does and how it can help them. “The Council has regularly been represented at Pride in recent years and I believe it gives us the chance to demonstrate our commitment to our local lesbian, gay, bisexual and transgender community. The parade will commence at 11am from Hove Lawns and will make its way through Brighton centre until it gets to Preston Park where the ticketed festival is based.